New versions of both the PS4 and Xbox One will released later this year, Netflix has said. Chief product officer Neil Hunt told a press conference, as reported by The Huffington Post, that Sony has “promised” a PS4 hardware revision that will increase its maximum video output to 4K. When contacted for clarification by Forbes, Netflix said that while, according to the site, it “clearly it isn’t in a position to speak definitively on Sony’s plans, [Hunt] believes that when both the PS4 and Xbox One consoles do their traditional two-year hardware refresh (which would be due around October or November) they will add the necessary components to deliver 4K video playback”. Back in 2013 Sony announced a 4K video service for PS4, although nothing has been heard of it since the console’s arrival. Sony Electronics President Phil Molyneux said at the time that while the machine will support 4K video, 4K gaming will not be possible. Indeed, Sony confirmed to Forbes that that “the PS4 does not currently support 4K output for gaming”. The site, however, says that both machines would need an additional chip to support Netflix and Amazon’s HEVC 4K UHD streaming format and 4K’s HDCP 2.2 copy protection protocols. Their HDMI ports would also need to be upgraded to HDMI 2.0 if 60fps 4K playback were to be offered. UPDATE: It has also been previously suggested that Xbox One as it stands can already support 4K output and includes HDMI 1.4. Sony Computer Entertainment America has added five new titles to PlayStation Now's subscription library. Uncharted 2: Among Thieves, God of War II HD, Red Faction: Armageddon, Galaga Legions DX and Arcana Heart 3 have joined the game streaming service, taking the total number of titles members can play to 109. PlayStation Now launched on PS4 in the US in mid-January with two subscription offerings. Users can sign up to a monthly payment plan of $19.99 or a three-month plan for $44.99. More PS3 games will be added to PlayStation Now on a monthly basis, while the introduction of PSone and PS2 titles is also part of Sony's vision for the service. PlayStation Now is scheduled to launch in Europe later this year, when the service will debut in the UK. The success of PS4 – and the yen’s exchange rate – have helped Sony to a decent Q3. The console shifted 6.4m units in the month ending December 31st, up from 4.5m units in the same quarter the year before. Portable hardware sales fell from 2m to 1.4m units, however, while software sales climbed from ¥128bn in Q3 2013 to ¥147bn. Network sales doubled year-on-year to ¥100bn. The company has upped its console sales forecast for the full year from 17m units to 17.5m, while it still expects to shift 3.5m portable consoles in the period. Software sales are now forecast to reach ¥420bn, up from the previously forecast ¥390bn. Sales at the company’s Game & Network Services division are expected to climb 16.8 per cent year-on-year to $4.39bn, with operating income soaring by 122.8 per cent to $228m. Increased PS4 sales and network service revenue, as well as a favourable exchange rate, were the main drivers, offsetting PS3 declines. The division’s operating income more than doubled to $228m. However, while PS4 is soaring, Sony has admitted that PS TV has not hit its sales targets, hitting lower than expected unit sales for the quarter. Overall Sony Q3 forecasts expect sales to climb 6.1 per cent to $21.1bn. On a constant currency basis, however, sales are expected to fall one per cent year-on-year. Operating income is expected to double to $1.48bn, purely due to the success of PS4. For the nine months ending December 31st Sony expects sales to jump 6.3 per cent, or two per cent on a constant currency basis. Sony said in January that PS4 sales had passed 18.5m units worldwide. Sony Computer Entertainment Europe has launched a new PlayStation Store sale. Alien Isolation is billed as the deal of the week, with up to 65 per cent off the regular price of the survival horror game. Numerous Call of Duty titles and DLC packs are also discounted, as are various season passes and digital games, all of which are listed below. Capcom’s Resident Evil HD finished ahead of Warner Bros’ Dying Light in last month’s PSN charts, Sony has revealed. The remastered title finished top of the latest European PSN charts, with Dying Light debuting in second place. Both games have so far only been released digitally. However, while Capcom’s game isn’t currently pencilled in for a physical release Warner’s title will be arriving on disc later this month after last month’s delay. Also note that while Resident Evil costs £15.99, Dying Light currently sells for £54.99 on PSN. Spanish console modder MakoMod has transformed a PlayStation One into a working model of Midgar, the technologically advanced city from Final Fantasy VII.The modification took just over eight months being built from scratch with original models created by cold casting with aluminium for a real metal finish. As the video above showcases, the console is fully functional, which is why it may be of interest to know that it’s being sold on eBay. However, do note that it’s restricted to PAL – Europe only.If you look closely, you can see that not only is the large structure of Midgar included in the model, but also smaller details such as Aerith’s church and the train station where Final Fantasy VII starts. It also has LEDs in places that light up when the console is turned on, and some parts glow in the dark.More pictures of the modded console are below. And if you try to bid for it on eBay, well, good luck to you. Sony will unlock the PlayStation 4's multiplayer capabilities this coming weekend, allowing for free and unlimited online play.The weekend event runs from 6am this Friday, 13th February until 6am, Monday 16th February, UK time.Access is unrestricted no matter which title you play: Grand Theft Auto 5, Far Cry 4, Dragon Age: Inquisition - or maybe that little heard of game named Destiny.PlayStation 4 is the first Sony console to require a subscription to play online, although PlayStation Plus membership also provides a bonus helping of monthly free games.Access to these titles isn't part of the weekend event - for that you'll need a proper PlayStation Plus sub. PS4 Remote Play is now possible on a number of non-Sony Android smartphones. Sony’s official PS4 Remote Play app allows owners of supported Xperia handsets to stream games from their console. However, Polygon reports that an unofficial version of the app brings this functionality to a wide range of non-Sony smartphones – with the Samsung Galaxy S3 demoed in this video. Effectively, this lets users play titles such as The Last of Us, Destiny and the upcoming The Order: 1886 from anywhere where there is an internet connection. An on-screen virtual button overlay means that no peripherals are required, although controller support is offered – albeit with an extra layer of technical tinkering. As the app is unofficial it’s not as simply as simply downloading it from Google Play, but there are guides out there for those with the technical nous. What does upgrading a PlayStation Network sub-account to a master account have in common with buying lottery tickets? Well, now both are things you can do when you turn 18. That's right: You won't have to start a new account (or lose any of those platinum trophies) to get an unrestricted connection to game-broadcasting, messaging and PSN Store spending limits. For now, you have to handle the process via the Sony Entertainment Network website, but the PlayStation Blog says that it's en route to the PlayStation 4 as well. Xbox Live has had this feature for awhile, of course, so it's nice to see Sony's listened to its community and followed suit. Naturally, if you're a parent and don't think your kid is ready for unfettered access to everything PSN offers, Sony's quick to note that this is in no way mandatory. Given some of the things we've seen and heard while playing online with adults, that's almost positively one for the "win" column. Numblast Exploit for PS Vita firmware 3.36! Native: First Homebrew for the PS Vita Webkit Exploit! Remember the PS Vita native webkit exploit that has been published for PS Vita firmware 3.18, and works up to firmware 3.20? It has been quiet about that topic, but now there is a homebrew available, which pretty much lets you play Pong on your PS Vita. Qwikrazor is on a coding spree! Even though the Numblast exploit for firmware 3.36 has only been announced a few hours ago, he already finished the exploit files. The installation of the ARK-2 eCFW for the Numblast exploit is pretty easy. You simply copy the savedata folder from your PC to your PS Vita and start Numblast. Thats it. Numblast is one of the few auto-triggering exploit games, which do not require any kind of user input to trigger the exploit. Since Numblast is neither a Minis, nor a firmware 3.18 exploit game, it is capable of running the ARK-2 eCFW itself. - This release fixes a few minor bugs in 0.9.38-UNSTABLE, including broken PSF/PS1 EXE support. - FPU rounding modes much better supported, fixes the Peace Walker boss that was undefeatable. NOTE: This breaks saves in Gods Eater - you must turn off the better rounding, load your save game, turn it on and save. - The JIT now uses SSE on x86, improving speed considerably. This does not affect ARM devices, that's for the next version or two. - Some Ad Hoc improvements, coldbird.net is now default adhoc server. Ad Hoc still unfinished and hard to use. A new release of the Playstation emulator ePSXe has been released. For more news and downloads go to the epsxe site here, and discuss on our forums here. Nucleus Git (2015/02/15) is compiled. This project focuses on PlayStation 3 emulation. rpcs3 Git (2015/02/14) is compiled. rpcs3 is an open source PlayStation 3 (PS3) emulator for the Microsoft Windows. Current versions can run only small homebrew for PS3. Developers are planning to make it to emulate PS3 on its speed in the near future. Play! Git (2015/02/12) is complied. Play! is an attempt at creating an emulator for the PlayStation 2 (PS2) console on the Windows platform. It is currently written in C/C++. It uses an instruction caching/recompilation scheme to achieve better performance while emulating the CPU. * Improved PsfAot gather msbuild script. PCSX2 Git (2015/02/11) is compiled. PCSX2 is an open source PlayStation 2 (PS2) emulator for the Microsoft Windows and Linux operating systems. With the most recent versions, many PS2 games are playable (although speed limitations have made play-to-completion tests for many games impractical), and several games are claimed to have full functionality. If you are looking for an app which just lets you fully concentrate on the game in front of you, Royal Baccarat is perfect for you. As James Bond’s choice of casino games, baccarat can be seen as a more upper class game, but this app helps players with tips and tutorials to make you an all-round better player. Big Wins Slots is ideal if you like playing with small amounts of money on a number of different games. The apps sticks with the classic Vegas rules offering both three and five reeled platforms and you can win extra credits through the VIP section. Gamers are given 20,000 chips worth of credit when they first start on Zynga Poker, so you have a good basis to begin your playing career. With over 6 million players taking to the app on a daily basis, you feel truly part of a gaming community. Do you like TV shows like Deal or No Deal and The Wheel of Fortune? Well if you do, GSN Casino has all the themed games you could throw a hat at. The app offer big Vegas styled graphics and offer gamers free poker, slots and blackjack for hours of endless fun. Aimed more for those gamers looking for a bit of friendly fun and a laid back, Big Fish Casino is perfect for the more novice gamer. You can play along with your friends and family, as well as creating and sending them little gifts and treats – all in the name of fun! An analysis of articles published online in 2014 has shown that PlayStation enjoyed around 35 per cent more coverage than Xbox. A report from Ico Partners’ Thomas Bidaux found that the PlayStation brand as a whole was the subject of 560,573 articles while the Xbox brand received 411,380. That number was almost matched by PS4, with 400,751 articles. Xbox One received 301,132. At the beginning of the year the gap between the two was minimal, but it increased as the year progressed. Nintendo is excluded from these results as a full year’s worth of data was not available. Sony Network Entertainment VP Eric Lempel announced the much-requested feature in a post via the PlayStation Blog. "Starting today, PlayStation Network (PSN) users will gain the ability to upgrade a sub account to a master account," he said on Thursday. "We're always listening to user feedback, and this is a feature that many of you have asked for. You'll be able to upgrade an account first through the web and later through PlayStation 4." He went on to confirm: "Your profile will be carried over when upgrading to a master account, along with items like your friends list and Trophies." Sony has posted instructions on how to carry out the process here. As usual, the scene of ps3 we can find a myriad of applications for the same purpose, with any new, different or unique feature , such as PSNPatch, that in addition to allowing access to PSN / ON-LINE, I possesses the ability to activate PSN content (Games, Demos, DLC, etc ...) as discussed below. Play! Git (2015/02/17) is complied. Play! is an attempt at creating an emulator for the PlayStation 2 (PS2) console on the Windows platform. It is currently written in C/C++. It uses an instruction caching/recompilation scheme to achieve better performance while emulating the CPU. * Make sure there's enough space in the MACflag pipeline to store 5 results. * Added new VU flags test and fixed stuff in test framework. * Added VuAssembler for easier test case creation. * Added some missing VU flags checks. * Changed names of some dependency check functions. * Filled up some blanks in VU reflection tables. * More VU dependency checks. * Added some more missing dependency checks. * First pass on VU dependency check improvements. Nucleus Git (2015/02/17) is compiled. This project focuses on PlayStation 3 emulation. PCSX2 Git (2015/02/16) is compiled. PCSX2 is an open source PlayStation 2 (PS2) emulator for the Microsoft Windows and Linux operating systems. With the most recent versions, many PS2 games are playable (although speed limitations have made play-to-completion tests for many games impractical), and several games are claimed to have full functionality. 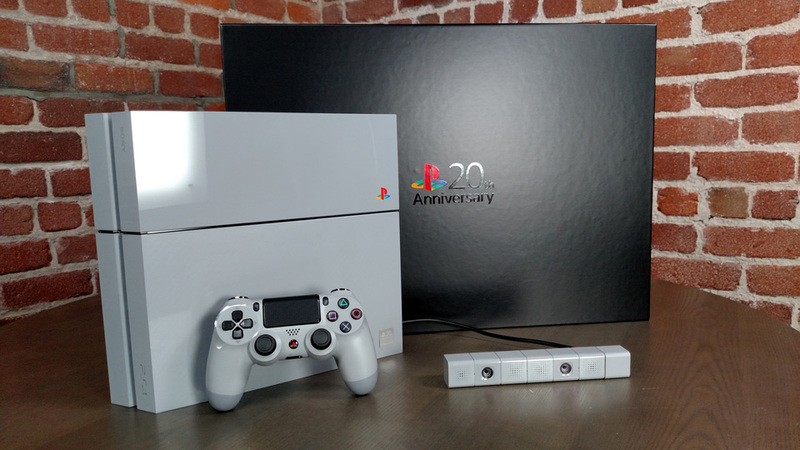 We get it, the most desirable version of a limited edition PlayStation is up for grabs, and you really want it. Even better, your generous bid will go to charity, improving the lives of children. In the industry, that's referred to as a "win win." Except when it's not. The auction for that #00001 anniversary edition PS4 (that sold for around $127,000) has -- perhaps not unsurprisingly -- fallen through. Sony doesn't detail why, but it's not hard to imagine that a chronic case of buyer's remorse, or an inability to pay could have something to do with it. Sony's still coming good on its side of the deal though, and is making the promised donation (a match of the winning bid) to charity as planned. For those serious bidders that missed out, this could mean a second bite of the cherry. Sony's not saying exactly what it's doing with the console, but for now it's putting it on display at its Ginza location. PS4-fans without the deep pockets can swing by to take a look at it starting this Saturday. PlayStation 4 will beat out Xbox One over the first five years of the current console era, market research company Strategy Analytics has predicted. The firm forecasts PS4 will move 80m consoles by the end of 2018, while Xbox One will sell 57m. The report also states that the Wii U is in the midst of a modest comeback thanks to first-party releases. "Despite reports to the contrary, the game console market is not dead," Strategy Analytics senior analyst Eric Smith said. "Core gamers have moved faster to this current generation than in any previous generation. The main difference in this generation is that casual gamers who bought a Wii are remaining largely on the side lines as free-to-play casual games and midcore games on tablets and smartphones have captured this segment of consumers." Electronics giant Sony has outlined a new three-year strategy for a return to profitability after a series of huge losses - and PlayStation is central to the plan. Sony boss Kaz Hirai, once ruler of all things PlayStation, has quite the job on. Sony today held a crucial corporate strategy meeting in which it said it would give the various divisions within the group more autonomy in a bid to reach 500bn yen (£2.7bn) in earnings during the 2017 financial year.Each of Sony's businesses will be classified as "growth driver", "stable profit generator" or "area focusing on volatility management".The Game & Network Services business, of which PlayStation is a part, falls under the "growth drivers" category. This comes as little surprise following PlayStation 4's stunning sales success: it's sold 18.5m units since going on sale in November 2013, with around half of PS4 owners subscribing to PlayStation Plus.As part of its new plan, Sony intends to expand the installed user base of the PlayStation platform and the highly profitable PlayStation Network. A PlayStation Plus subscription, which costs £40 a year, is required for multiplayer gaming on PS4.Other businesses classed as "growth drivers" include Devices (CMOS image sensors), Pictures and Music.Stable profit generators are Imaging Products & Solutions (cameras) and Video & Sound.Now onto the naughty step and the areas focusing on "volatility management". Many attribute Sony's high-profile financial troubles to its smartphone and TV business, and, as you'd expect, the TV and Mobile Communications division falls into this category. "Sony will place the highest priority on curtailing risk and securing profits in its operation of these businesses," it said in a note issued today. Still on sale on Steam for £19. Slightly Mad's multi-format racer delayed again. "Since both markets are experiencing intense cost competition and commoditization, Sony will strive to further increase the added value of its products by leveraging its in-house technologies and component devices. By carefully selecting the territories and product areas it targets, Sony will seek to limit its capital investment and establish a business structure capable of securing stable profits. "In other words, Sony will scale back its operations here in a bid to boost profitability - and it hasn't ruled out selling off its TV and mobile units.Also of note, Sony wants to focus on what it calls "recurring-revenue business models" built on solid customer foundations and business platforms. PlayStation has already managed to do this with the money it makes from PSN, and it's keen to replicate this success in other parts of the company.As mentioned, Sony plans to sequentially split out the business units currently within Sony Corporation. It did this with its TV business last year, and the Video & Sound business unit is next (1st October 2015). Split-out business units will then launch as self-sustained, wholly-owned subsidiaries.Each business unit, including those that are already subsidiaries, will benefit from "clearly attributable accountability and responsibility", "management policies with an emphasis on sustainable profit generation", and "the acceleration of decision-making processes and reinforcement of business competitiveness".The pressure has been on Sony boss Kaz Hirai for some time now to return the iconic Japanese company to something approaching its former glory. It expects to report a net loss - its sixth in seven years - for the current financial year despite an operating profit forecast of 20bn yen (£109m). Sony is to spin-off many of its businesses as PlayStation, Sony Pictures and image sensors are being repositioned as the core of its new structure. The company intends to split its audio and video (TV) divisions from its main operations in the same way it did its Vaio PC business. It is also considering doing the same to its smartphone operations. Not only does this elevate PlayStation to top billing within the company’s hierarchy, but it also places a level of reliance on former market rival Apple, which is the biggest customer of Sony’s image sensor business. The announcement marks the potential end for Sony as a core consumer electronics company, with current boss (and former PlayStation head) Kaz Hirai bravely taking on what is increasingly looking to be a very transformative legacy from his time in charge. "Sony will place the highest priority on curtailing risk and securing profits in its operation of these businesses," the company told investors. "Since both markets are experiencing intense cost competition and commoditization, Sony will strive to further increase the added value of its products by leveraging its in-house technologies and component devices. By carefully selecting the territories and product areas it targets, Sony will seek to limit its capital investment and establish a business structure capable of securing stable profits." Two retailers have begun giving away the PlayStation TV microconsole in the US. GameSpot reports that both GameStop and Best Buy will be giving the hardware to any customer who buys a PS4 and 12-month PlayStation Plus subscription as part of a The Last of Us Remastered bundle. PlayStation TV garnered huge media and consumer interest when it was unveiled under the name PlayStation Vita TV back in 2013. The hardware sold out the moment it became available for pre-order in Japan. Sony went on to admit that it was surprised by the level of interest shown in the device from the West, which at the time was a region it had not yet planned to launch in. However, despite a strong start in Japan sales have slowed to a virtual standstill, with PS TV regularly selling just a few hundred units each week. In February Sony admitted that the format hasfailed to meet sales expectations. Last month US retailers cut the price of the device by $20 to $80. In the UK the machine still has an RRP of £84.99 although it can be found for under £70. A couple weeks ago, we were surprised by news that Sony was spinning off its game development studio. More recently, the company has been thinking about exiting both the mobile phone market and the TV market. An opinion piece suggests Sony shouldn't stop there, focusing more on the its PlayStation division and a few other areas — and giving up on the rest. "Continuing to concentrate on phones and other products actually makes the PlayStation experience worse for most people. Take the PS4's ability to stream games to mobile devices — a killer feature needlessly limited to the PS Vita and Sony's Xperia Android line. Why can't I play Destiny on my iPad when the TV's occupied? The iOS PlayStation app, meanwhile, is a confusing mess that hasn't even been updated for the iPhone 6. These sound like minor points, but imagine what Sony could do if everyone at the company were focused on making its most important product as good as possible. As Microsoft is learning with its recent iOS and Android experiments, you have to serve the customers where they already are." 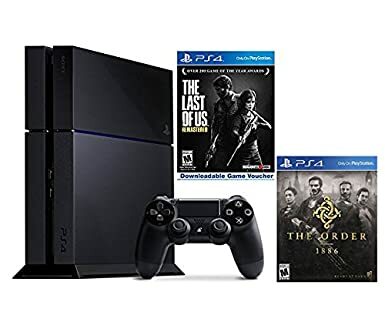 Cheap PS4 Console Deals!Grab the PlayStation 4 Console + The Order: 1886 + The Last of Us Remastered for $429.99 at Amazon! A survey of US console owners has found that the main reason PS4 buyers opted for Sony’s console is “better resolution”. A number of third party titles (including the likes of Call of Duty: Advanced Warfare, Dragon Age: Inquisition, Far Cry 4, Shadow of Mordor, Lords of the Fallen, PES 2015, Watch Dogs, The Evil Within and the recent Battlefield: Hardline beta) display at a higher resolution on PS4 than Xbox One. The top reason Xbox One buyers chose Microsoft’s machine, according to Nielsen’s report, was due to the brand, which historically has always been very strong in the US. Other reasons cited by PS4 buyers include Blu-ray support (also offered on Xbox One), its game library and a faster processor. Xbox One buyers named its innovative features, again a faster processor (which in the case of Xbox One is true – it does have a faster CPU than PS4, but offers less GPU and RAM performance), exclusive games and content and what is called the ‘fun-factor’. It will come as no surprise to those who know a Nintendo fan to hear that ‘fun-factor’ was named as the main reason for buying a Wii U. The other reasons were its suitability for kids, the price, backwards compatibility and exclusive games. 76 per cent of Xbox One owners polled had also owned an Xbox 360 whereas only 66 per cent of PS4 owners previously owned a PS3. 86 per cent of Wii U owners were former or current Wii owners.